The M5 West Widening project involved the addition of a new lane in each direction to the existing M5 South West Motorway. Image courtesy of Jeffrey Hinks. 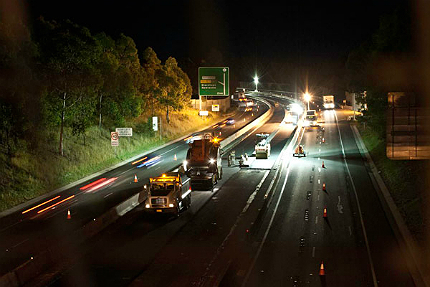 The NSW government contributed $50m towards the M5 West Widening project. Image courtesy of Jeffrey Hinks. The project involved widening of two existing bridges at Queen Street and Nuwarra Road with infill decking. Image courtesy of Jeffrey Hinks. The M5 West Widening project started in 2012 and was opened to traffic in December 2014. Image courtesy of Jeffrey Hinks. The $400m expansion was started in August 2012 and opened to traffic in December 2014, while ancillary works such as landscaping, noise walls and finishing, continued through early 2015. 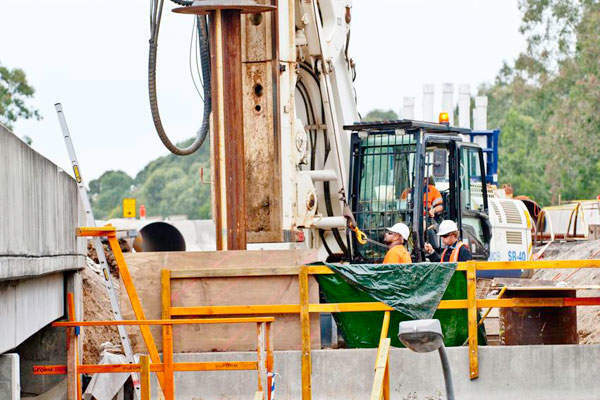 The $400m M5 West Widening Project was funded by Interlink Roads, with the NSW government contributing $50m towards the cost of new and improved noise walls and noise treatments at individual residential properties. "The $400m M5 West Widening Project was funded by Interlink Roads, with the NSW government contributing $50m." The M5 Corridor has two sections, the M5 South West Motorway and M5 East. The M5 South West Motorway is a 21km toll road between Camden Valley Way (Prestons) and King Georges Road (Beverly Hills). The motorway is owned and operated by Interlink Roads under a public-private partnership (PPP) arrangement until December 2026. M5 East is a 10km road connecting the M5 South West Motorway with General Holmes Drive and the Eastern Distributor. The M5 East corridor comprises two tunnels, which include a 4km tunnel between Bexley Road (Earlwood) and Marsh Street (Arncliffe), and the 500m Cooks River Tunnel under the Cooks River at Mascot. The M5 East is owned by RMS and is operated by Leighton Contractors. The number of commuters travelling along the M5 South West Motorway has steadily increased. Traffic is expected to increase in the future, as the surrounding areas such as Port Botany, Sydney Airport and south-west Sydney are expected to witness population and employment growth due to planned commercial and industrial developments. The M5 West Widening project eases congestion and prepare for future growth by increasing capacity of the motorway. The NSW government had announced a proposal to expand the M5 Corridor in November 2009. The M5 West Widening Project, which was part of the expansion, reached financial closure in June 2012. The project involved the addition of one lane in each direction to the existing M5 South West Motorway. The motorway had two lanes in each direction, which increased to three in each direction upon completion of the widening. "The M5 West Widening project eases congestion and prepares for future growth by increasing capacity of the motorway." The widening aims to reduce congestion on the M5 South West Motorway, as well as improve reliability and travel times. It also provides relief to existing congestion on parallel routes, supports forecast growth in Sydney’s south-west and improves access between population, commercial and economic precincts. It also provides environmental benefits by reducing vehicular emissions due to reduced stopping and starting on the motorway. In addition to adding east and westbound lanes on the M5 South West Motorway, the project included a new operation, management and control system (OMCS) and a new motorway control centre at Hammondville. The control centre provides enhanced communication between commuters and the corridor traffic controllers. The widening has improved safety for the commuters by providing early warning alerts for motorists via the addition of variable message signs along and on approaches to the corridor. Incident response times have also been improved with the installation of CCTV cameras along the motorway. The project also involved widening of two existing bridges at Queen Street and Nuwarra Road with infill decking. Improvements were made to existing noise walls, while new noise walls were constructed for the benefit of local residents along the M5 South West Motorway, between King Georges Road and Camden Valley Way. Abigroup received a $315.86m contract from Interlink Roads in June 2012 to provide design and construction services. The scope of the contract also included an upgrade and extension to existing noise walls and a new operations management control system (OMCS), which included construction of a new motorway control centre, variable message signs on the motorway and surrounding arterial roads and CCTV. Ballina Bypass is a 12km long four-way dual carriageway linking the Pacific Highway in North Ballina with the Bruxner Highway Intersection in South Ballina. It extends from South Ballina to North Tintenbar. The Hume Highway Duplication Project involved the reconstruction of Hume Highway that starts from Sydney and ends in Melbourne.